California, The Golden State, is best known for its beaches, wine, Disneyland, Hollywood, and nice weather. Each part of the state is its own little world. From the High Sierras to San Diego, each part of the state brings its own unique traits and attractions. The state hosts many tourists year-round, and many choose to relocate and make California their forever home. Plan your move to California, now. One of the biggest pieces of relocating is figuring out what to do with your car. Some people may opt to buy a brand new car when they get to their destination, while others will choose to drive their vehicle. However, if you do not want to drive to your new sunny home or buy a new car, there are a few options that you may want to consider. Open auto transport is the most used option by our customers. It provides a reasonably priced and quick way to ship your car from one location to another. In this option, cars are loaded onto a six or nine car carrier that is open air and two levels. This means that your car will still be exposed to the elements of the road and to weather conditions. However, this is also one of the fastest options, because it is more readily available due to demand. This method of transport provides added protection than that offered by open auto transport. However, it is more expensive. Enclosed auto transport will shield your vehicle from weather and road elements as well as provide a few additional safety features. Such features could include hydraulic lifts, safety straps, and drop floors, but it depends on the carrier. You can rest easy knowing that your car will be safe in this mode of transport. Enclosed auto transport is recommended for those individuals who are shipping high-value vehicles. With this service, the car will be picked up directly from your home and delivered to its destination. This option provides our customers with added convenience. It eliminates the hassle of driving to a terminal for pickup of the vehicle, saving you time that could be spent on the beach. Where Should I Go In California? We have put together a list for you of California’s most popular cities (from north to south). We have even included some fun facts about each area. Whether you are planning on relocating to one of the following cities or are looking for a new vacation spot, there is something for everyone to enjoy. This is a wonderful outdoor tourist destination located in-between California and Nevada. In the winter months, you will find many people skiing, snowboarding, snowmobiling, and drinking hot chocolate. In the summer, tourists will venture out onto the lake to enjoy sailing, kayaking, and swimming. There are also plenty of hiking trails that are available during all seasons. Learn more about moving to South Lake Tahoe. While known for being the state capital, this town is more than just government buildings. Sacramento is becoming one of the state’s most popular art cities. It has many museums, art galleries, and architecture pieces that are an art lover’s paradise. Downtown is booming with bars, restaurants, and boutique shops. Learn more about moving to Sacramento. Napa is best known for its world-class vineyards and wines. It has many opportunities to go wine tasting with friends or other organized groups. It has many established bed and breakfasts that host some of the most renowned chefs in the state. For the outdoorsy type who enjoy breathtaking scenery, Napa offers bike trails that wind through many of its vineyards. Learn more about moving to Napa. 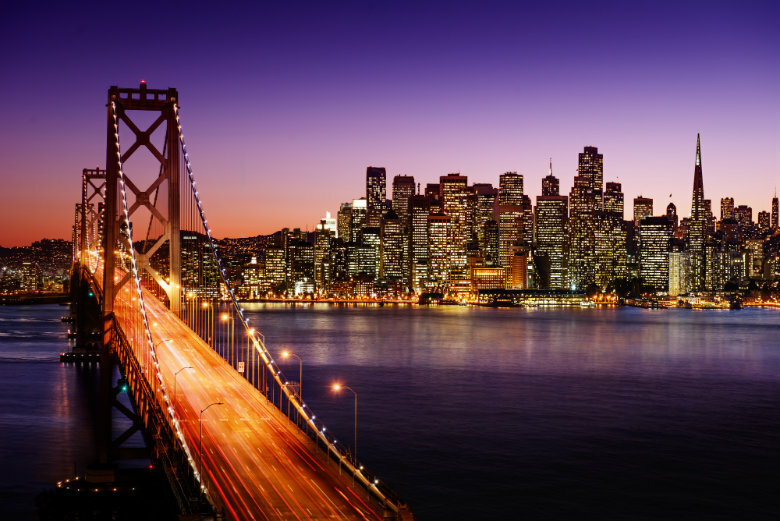 San Francisco is best known for its steep streets, Victoria architecture, and the Golden Gate Bridge. It has a radiant coastline that is home to many different types of marine life. It has a very liberal atmosphere. For food, it is the place to be. There are many delicious restaurants that provide outdoor seating so that you can enjoy the view while chowing down on your seafood and sourdough bread. Learn more about moving to San Francisco. Fresno is located in central California in the San Joaquin Valley. It is a mere three hour drive to either San Francisco or Los Angeles. It is the largest city with access to Yosemite National Park. The city provides a place for all outdoor adventurers who seek to explore the parks and discover the wildlife that lives in the forests. Fresno, like the rest of the central valley, is also known for having some of the most suitable farm land within the country. Learn more about moving to Fresno. LA is one of the first places that comes to mind when people think of California. It has beautiful weather all year long and hosts a large portion of the entertainment industry. Visitors will often recognize the sights from various movies and television shows throughout the years. Los Angeles could be considered a mini state from all the different types of places it has. For example, downtown is known for its thriving business centers and art districts while Santa Monica and Venice are known for having beautiful beach fronts. You will definitely never become bored living in this city. Learn more about moving to Los Angeles. This is a large city at the southern-most tip of California. It is home to many wonderful beaches. San Diego is known for its surfing conditions, tourism, and many naval operations. It is a major hub for the telecommunications, biotech, and defense industries. It has a diverse range of food options with strong Mexican ties due to its proximity to our southern neighbors. Learn more about moving to San Diego. If you are in need of auto shipping services to or from California, contact National Dispatch, a nationwide car shipping company. We offer a free, instant auto shipping quote on our website. It is completely obligation-free, and no personal information is required. If you would prefer to speak with an auto transport specialist, please call us at 800-321-2051.